A new study performed by Wallethub.com looked a the speeding and reckless driving laws for all 50 states and Washington D.C. Illinois had the 4th strictest rating for speeders and and 16th for reckless driver laws. Illinois’ overall rank was 8. More specifically, Illinois had the number 1 rank of drivers with at least one (1) speeding ticket toward a suspension. They had the 3rd highest ranking for fines for a first time reckless driving ticket. The last several years this blog has focused highly on distracted driving and the effects of phone use while driving. The evidence shows that texting and driving has become an epidemic in the country. Regardless, it is important to point out (as does this Wallethub study) that excessive speeding is just as dangerous and costly. According to the National Highway Traffic Safety Administration (NHTSA), in 2016, speeding was a factor in 27 percent of motor vehicle crash deaths. The NHTSA also pointed out that estimated that the annual economic cost to society of speeding-related crashes is $40.4 billion. Folks, it’s ok to slow down. The National Traffic Safety Board (“NTSB”) met in Washington D.C. earlier this month for a board meeting to discuss safety improvements for school buses. The meeting came in the wake of a 2016 fatal school bus crash that occurred in Chattanooga, TN, which killed six (6) and injured another twenty-six (26) children. The NTSB recommended to the National Highway Traffic Safety Administration (“NHTSA”) that all new school buses should contain lap-shoulder seat belts, the board also issued recommendations that buses be equipped with electronic stability control — computerized technology that improves a vehicle’s stability by detecting and reducing skidding. The NHTSA, which sets national standards for school bus safety, requires lap-and-shoulder belts on school buses weighing less than 10,000 pounds, but allows individual states to decide whether to require seat belts on larger school buses. Eight (“8”) states — Arkansas, California, Florida, Louisiana, Nevada, New Jersey, New York and Texas — have passed laws requiring seatbelts be installed on school buses. It will be interesting to see if the NHTSA follows the NTSB’s recommendations that states should enact laws requiring these lap seat belts on all new buses. Or, the NHTSA can look to the U.S. legislature to enact a law requiring all states follow these safety protocols. I think this is vastly needed, but would be shocked if this current congress and presidential administration would enact laws that would require these additional safety regulations. The current congress and president seem more apt to deregulate as much as possible regardless of the safety ramifications. We shall wait and see what happens here. If you or someone you love has been injured in a Illinois bus accident or any type of Illinois traffic accident, then call Chicago personal injury lawyer, Aaron J. Bryant, for a free legal consultation at 312-614-1076. The National Highway and Traffic Safety Administration (“NHTSA”) announced some unfortunate news in a press release last week that traffic fatalities were up 8% last year from the year before for the first nine months of each year. The agency’s statistical projection found an estimated 27,875 people died in vehicle accidents during that time in 2016, while 25,808 fatalities were reported for that same period in 2015. Also, the fatality rate for 2016’s first nine months increased to 1.15 fatalities per 100 million vehicle miles traveled. That represents an increase from 1.10 fatalities per 100 million vehicle miles traveled during the first nine months of 2015. The agency noted it relied on the same methodology used to generate the estimates for the first nine months of 2016 as it did to record the fatalities for 2015. The increase in deaths is especially concerning because it has happened at time when cars are safer than ever. Nearly all new cars and light trucks now have electronic stability control and rearview cameras, for example. Automakers are also beginning to equip more cars with sophisticated safety technology like adaptive cruise control, automatic emergency-braking and blind-spot monitoring. So what is the answer? The NHTSA isn’t giving us any plausible explanation. My own theory is that people continue to use their phones when driving. They continue to text and not take advantage of hands-free technology. I think this will continue to be the case as long as the penalties for texting and driving are weak. In my opinion, if an injury occurs from an accident where texting and driving was the cause, then the case needs to be treated like a DUI. At the very least the driver needs to be charged with a Class A misdemeanor. Without significant repercussions, drivers will not be deterred from typing on their phones while driving. This is the only explanation I can come up with as to why traffic fatalities have continued to rise the last two years. Multiple news outlets reported over the weekend about the freak and tragic death of Hollywood actor, Anton Yelchin, who died when his Jeep Grand Cherokee rolled backwards in his driveway and pinned him against his mailbox pillar and security fence. It turns out that the 2015 Jeep Cherokee was recently recalled for an auto defect based on complaints from drivers who had trouble telling if they had put the automatic transmissions in park. If they were not in park and a driver left the vehicle, it could roll away. According to the National Highway Traffic Safety Administration, a global recall of 1.1 million vehicles was announced by automaker Fiat Chrysler in April. As of April, the company had reports of 212 crashes, 41 injuries and 308 property damage claims potentially caused by the shifters, it said in documents filed with the government. The recalled vehicles, including nearly 812,000 in the U.S., have an electronic shift lever that toggles forward or backward to let the driver select the gear instead of moving along a track like a conventional shifter. A light shows which gear is selected, but to get from drive to park, drivers must push the lever forward three times. The Grand Cherokee gear shifters were changed in the 2016 model year so that it works like those in older cars. It is unclear at this time as to whether the defective gear shift was involved in Mr. Yelchin’s death or whether he had received the recall letter from Chrysler. If you drive a 2015 Jeep Grand Cherokee, it is highly urged that you take the vehicle into your dealer for defective gear to be replaced. 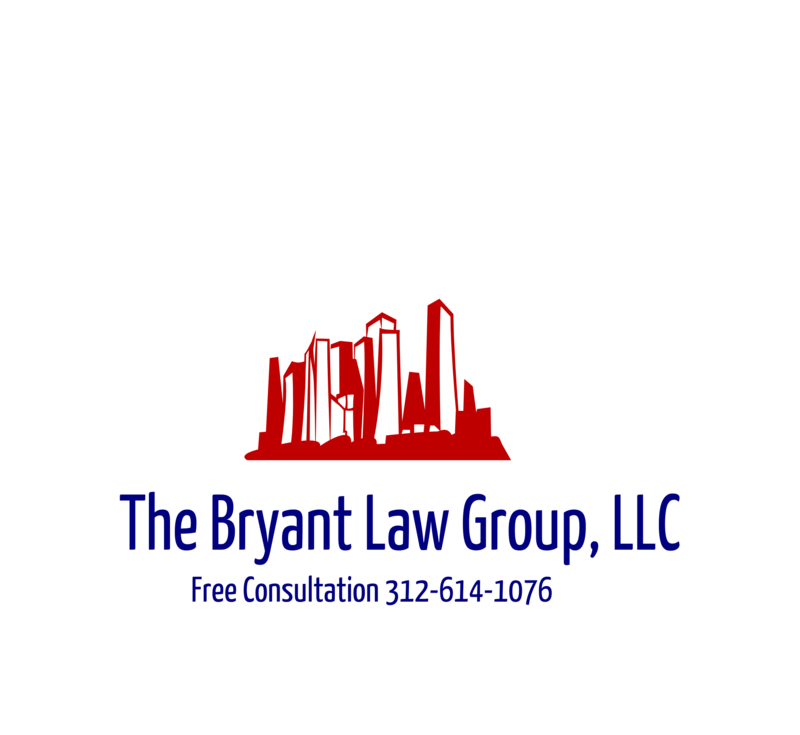 If you or someone you love has been seriously injured in a Chicago auto defect case or Chicago traffic accident, then call Chicago personal injury lawyer, Aaron J. Bryant, for a free legal consultation at 312-614-1076. AAA examined more than 6,842 videos from cameras mounted in vehicles, showing both the driver and the simultaneous view out the windshield. The videos were provided by a company called Lytx, Inc., which offers programs that use video to coach drivers in improving their behavior and reducing vehicle collisions. The videos revealed that distractions were involved in 58% of the car crashes. The most common forms of distraction were talking or otherwise engaging with passengers and using a cellphone, including talking, texting and reviewing messages. Other forms of distraction observed in the videos included drivers looking away from the road at something inside the vehicle, 10 percent; looking at something outside the vehicle other than the road ahead, 9 percent; singing or moving to music, 8 percent; grooming, 6 percent; and reaching for an object, 6 percent. The videos provide “indisputable evidence that teen drivers are distracted in a much greater percentage of accidents than we previously realized,” said Peter Kissinger, the foundation’s president and CEO. The NHTSA previously reported that only 14% of teen car crashes were caused by all kinds of distractions. What is the solution to this problem? Drivers of all ages (not just teens) are glued to their phones and unfortunately this includes while being behind the wheel. I have suggested over and over that there should be stiffer penalties for texting or phone use while driving. Should a teen’s license be suspended if they are caught texting and driving? Should there be higher fines? If teens are not afraid of the repercussions that come with texting and driving, then it will be tough to convince them to cease their behavior. The other alternative could be left to the auto makers. Maybe there is technology on the horizon that would disable all phones in vehicles unless they are in a “hands free” mode. Regardless, it appears that distracted driving is a much more dangerous issue than first thought, and that legislation and possibly, technology, should be improved. Bloomberg News reported last week that a new University of Michigan Study revealed that if a drunk driving device was installed into every vehicle, it could prevent up to 59,000 traffic fatalities every year. Current ignition interlock technology, which has been around since the 1960s, prevents a vehicle from being started if a driver’s breath registers a certain amount of alcohol. In recent years, some states have mandated their use for convicted drunk drivers. Typically, this type of device is only required if someone has been charged with a DUI and their license has been suspended for blowing over the legal limit or refusing to blow. For instance, in Illinois, if someone has their license suspended by the secretary of state, they can legally drive during their suspension if the driver pays to have this device installed. Other times, judges can order that this type of device be installed as part of probation for repeat offenders. It can be assured that this type of technology will seek opposition. First, there will be the cost by automakers and consumers. Will they want to pay for this device and should they be forced to? Also, it will be interesting to see if there will be any backlash from the ACLU as this could be viewed as an infringement on people’s privacy. I think safety advocates will view this similar to the seat belt and air bags. Before those two devices who introduced into the marketplace, they were viewed as too expensive and the government pushing too far into what drivers can or cannot do. Obviously, through the years we all know that seat belts and airbags have saved thousands of lives and prevented serious injuries. Further, driving in this country is not a right. Driving is considered a privilege. A privilege that you have to qualify for by passing tests, paying for insurance and following the rules of the road. University of Michigan’s Injury Center and Transportation Research Institute said in the study, released Thursday, that cost savings from widespread use of ignition interlock technology could outweigh the expense of the devices after three years. “The goal is to develop a system that can accurately and reliably detect when a driver is above the legal alcohol limit and that could be offered as original equipment in new cars on a voluntary, market-driven basis,” Gordon Trowbridge, a NHTSA spokesman, said in a statement. “Automakers will have to be convinced, and make sure that the costs of the technology are something that consumers are willing to pay for and they want,” said Adrian Lund, president of the Insurance Institute of Highway Safety. Wired magazine, among other news outlets, reported last month that Takata, a manufacturer of airbags, are recalling their product on 7.8 million vehicles. The recall is based on a study by the National Highway Traffic Safety Administration (“NTSA”), which states that airbags that could explode with too much force when they inflate. Extra force can be enough to rupture the airbag’s container, sending plastic and metal fragments into passengers. The car manufacturers affected by the recall include more than 50 models from Toyota, Honda, Mazda, BMW, Nissan, Mitsubishi, Subaru, Chrysler, Ford, and General Motors, made between 2000 and 2011. NHTSA is telling drivers of affected vehicles to “take immediate action,” meaning get themselves to a car dealership and get their airbags checked out. It’s especially concerned about drivers in Texas, Alabama, Mississippi, Georgia, Louisiana, Guam, Saipan, American Samoa, Virgin Islands and Hawaii (all hot, humid spots). The New York Times reported today that the NHTSA is now calling for a nationwide recall rather than specific states or territories that are more prone to humid weather. The agency said a recent airbag failure outside the regional recall area had prompted it to take the action. What does this all mean for Takata and the automakers? For one, it is going to cost a lot of money for the millions of airbags that need to be replaced. Second, both Takata and the automakers have or will face wrongful death lawsuits that are attributed to flaws in the airbags. At least five (5) deaths have been attributed to faulty airbags. This could increase the longer these faulty bags are being used. If you have a vehicle that you believe contains a faulty airbag you should click here to determine if the year, make and model contain a Takata airbag. If you or someone you know has been injured in a Chicago auto defect accident or Chicago car crash, then call Chicago personal injury lawyer Aaron Bryant for a free legal consultation at 312-614-1076.